Chanukah begins tonight at sundown. 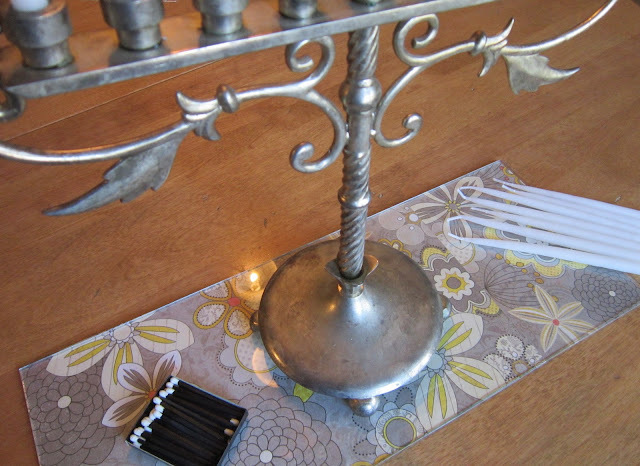 If you use candles to light your menorah, you already know how after eight nights of burning candles, the wax drips are all over your tabletop. 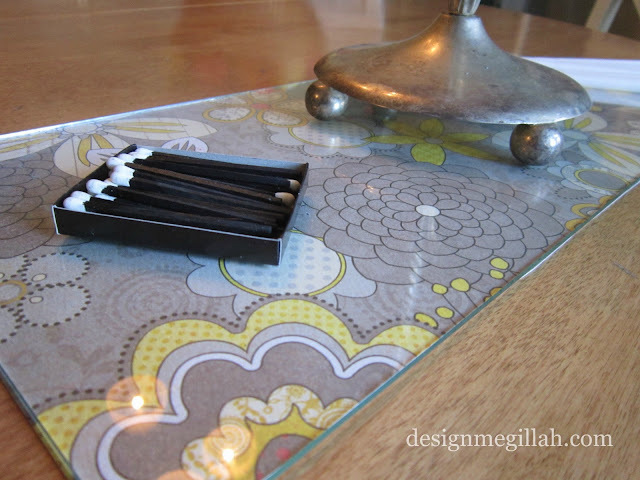 Here is an easy, inexpensive solution that not only works well but is also pretty. I bought a piece of glass at my hardware store for $1.50. It was already cut to 7 x 16 inches so I saw that the size would work. I added a sheet of scrapbook paper and cut it to fit under the glass. You can also use wrapping paper. The entire project cost me less than $3.00! this is really great. but, how do you not see glue or tape under the glass? I used very small pieces of double backed tape in the corners and on some of the edges. You could see them, somewhat but they weren't that noticeable. I would not us a dark colored paper because that would show the tape.